Remember the CodePink delegation to Gaza being planned for March? It’s ostensibly the reason the antisemitic Cat Watters contacted me and others to beg for money – with very limited success. A fundraising fail, if you will. Well, we can add BDS Fail to the story. You see, CodePink have set up the following site to publicize the trip and raise money. Notice the “Wix” button at the top, and the band at the bottom? That tells us CodePink used Wix to build the site. And Wix is an Israeli company. 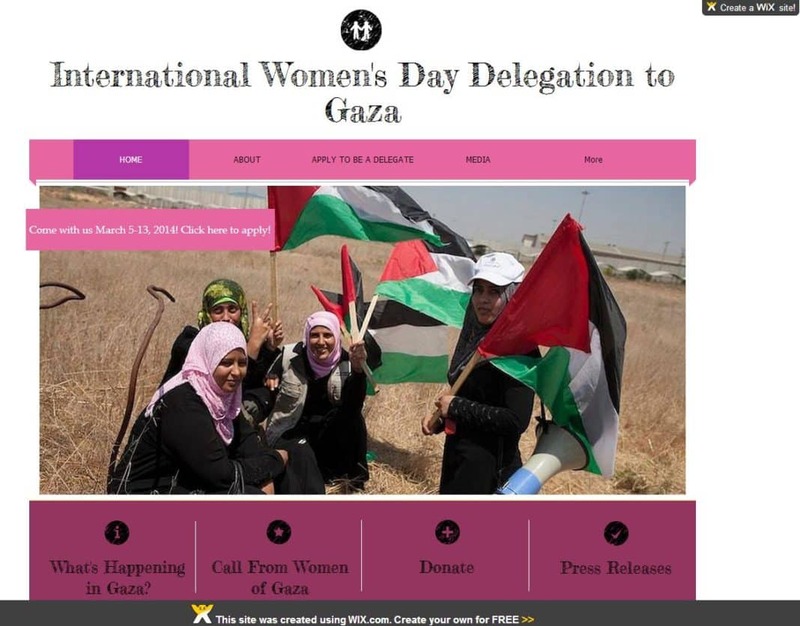 CodePink are not the only anti-Israel, pro-BDS organization using Wix. There’s also the Cornell University branch of ‘Students for Justice in Palestine and the ‘Palestinian Holocaust Museum‘ (which are both still using it, despite a story from November calling them out on it). Will CodePink stick to their “principles” and redo the site with Israel-free software? About as likely as Cat Watters raising the needed funds for her trip.